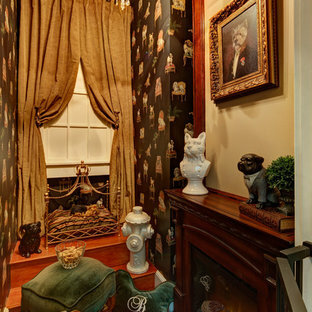 Butler's Pantry. Mud room. 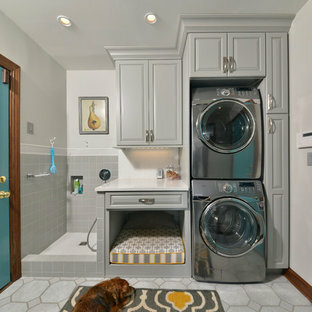 Dog room with concrete tops, galvanized doors. 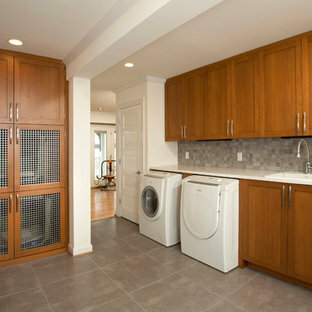 Cypress cabinets. Horse feeding trough for dog washing. Concrete floors. 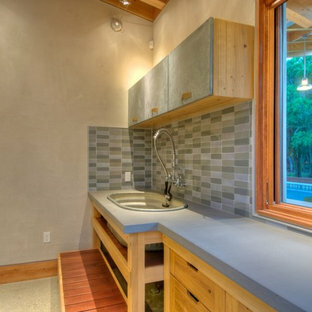 LEED Platinum home. Photos by Matt McCorteney. 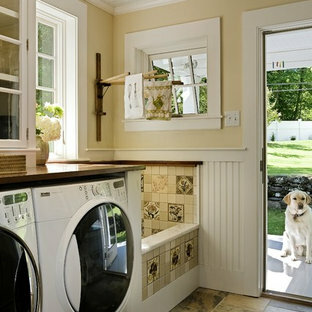 Dog shower with custom dog tiles. 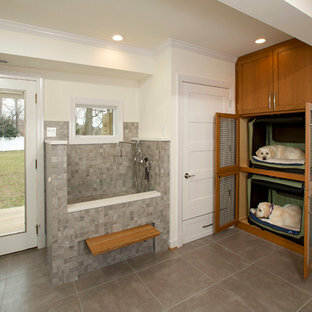 The dog shower is a raised grooming tub that has pull-out steps leading up to it so the dogs can easily get in and out of the dog bath. 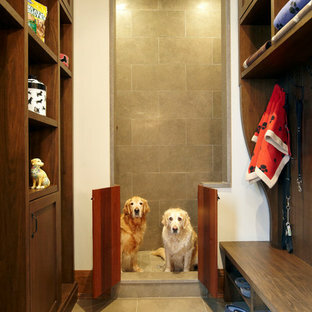 The grooming tub has a door that opens and closes for dogs to get in and out of easily. Dog shower. Wall-mounted hair dryer that is waterproof and accessible from built-in grooming tub.